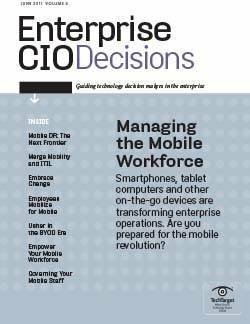 Interest in endpoint and mobile device data protection has intensified as more companies allow workers to use personal computing devices at work. Once considered an obscure novelty, smartphones and tablets have evolved into powerful tools with increasing storage capacity. As employees, contractors, partners and other authorized users access and manipulate data wherever they are, IT administrators scramble to ensure that corporate data remains safe and secure. 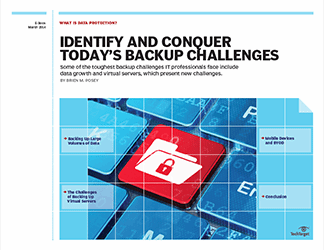 The need for faster restores, more frequent data protection, data growth and other challenges has fueled the search for alternatives to traditional backup technologies. 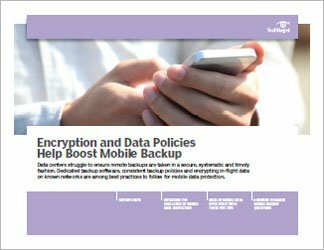 Mobile data backup technologies range from endpoint backup, file synchronization and sharing products and traditional on-premises backup with options for cloud-based replication. 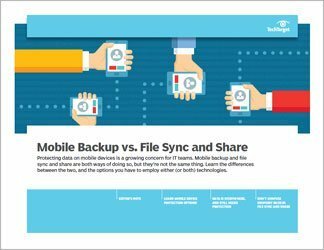 Mobile devices present significant challenges to backup administrators. Personal tablets and smartphones aren't connected to the corporate network at all times, which means extra effort must be taken to back them up during intermittent periods of connectivity. Backup storage processes that run against the device must be done in a way that doesn't interfere with the user's normal work activity. Lack of consistency across mobile devices is another challenge. 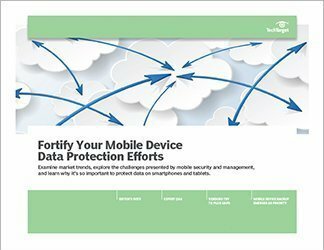 Organizations need to adopt mobile device usage policies and deploy technologies that enhance data security and mobile device management. Mobile data protection products are often used with tiered storage, in which inactive data is moved automatically to low-cost storage.